BMW introduced the innovative 328 in 1936. It was built on a light weight tubular chassis and fitted with a low profile stylish body with faired in headlights and solid disc wheels. The steering was rack and pinion, the brakes hydraulic, the front suspension was independent and the gearbox had synchromesh. The 328’s six-cylinder engine featured an ingenious cylinder head with hemispherical combustion chambers and inclined valves without recourse to overhead, or twin camshafts. 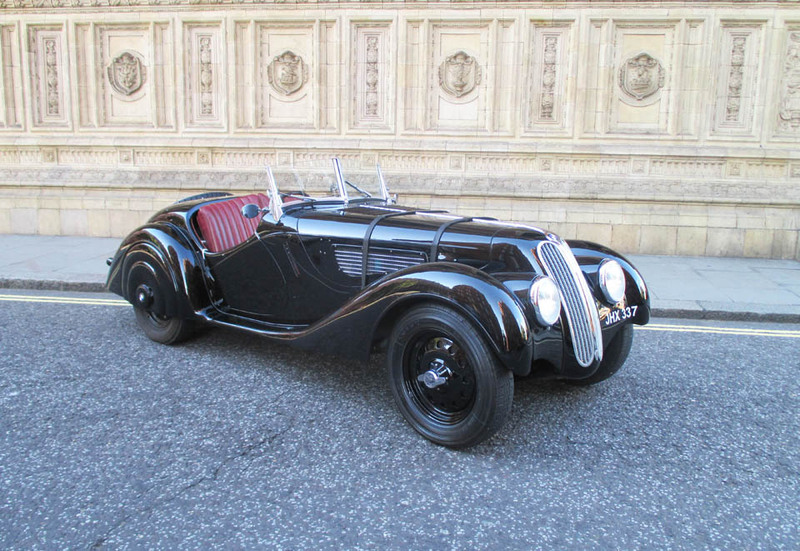 This was the first truly modern sportscar and the Aldington Brothers whose Frazer Nash company sold BMW’s in Britain were quick to see the potential of this model for their sporting clientele. In fact the third prototype was a right hand drive model that H.J. Aldington and A.F.P. Fane drove in the 1936 French Grand Prix. 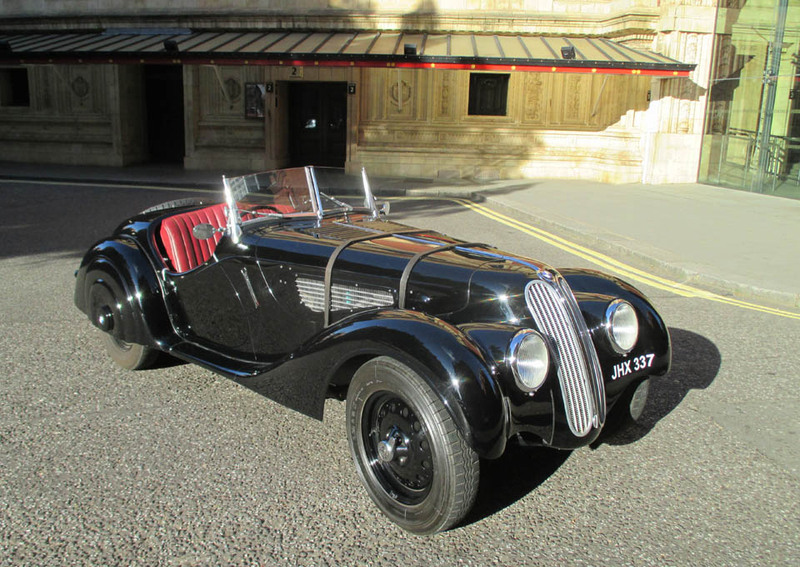 The same car covered 102 miles in an hour at Brooklands in the hands of journalist racer, Sammy Davis In total the factory built 464 cars of which 45 were built to special order with right hand drive and marketed as the Frazer Nash BMW. 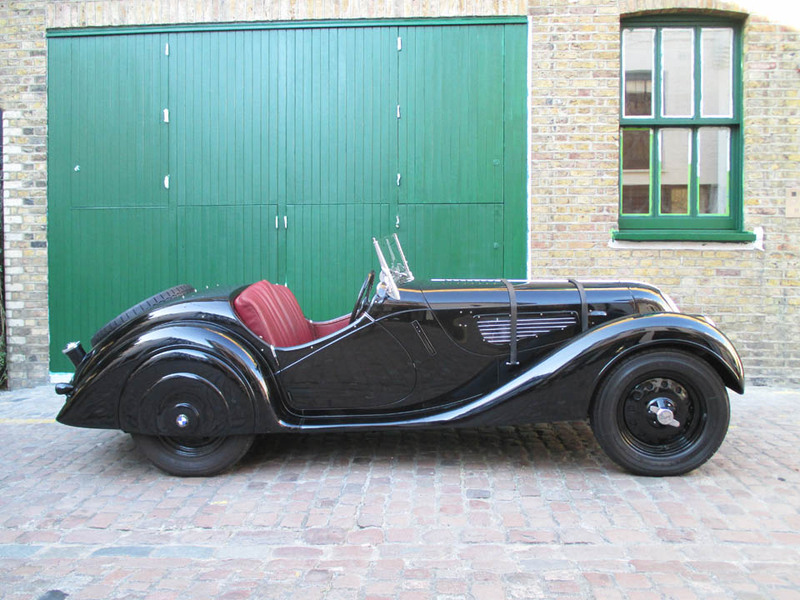 This car was delivered to a Mr. W.R. Handley in Newcastle on 1st July 1938 and subsequent owners included Tony Crook, Anthony Smith, David Smith, Alan Williams, Gerald Brigham and Nick Channing. There is a letter in the history file from David Smith detailing how he bought the car in 1966 for £ 500 when working for Heinz in Hayes. He kept the car for a number of years and took part in some VSCC racing with it until as often is the case a wedding, wife and a need for “bricks and mortar” lead to a forced sale. He was delighted to get his £ 500 investment back! The file contains a wealth of photos of the car through the years and not surprisingly a number of it competing in racing and hill-climbing. It is believed that Tony Crook may have used it on the track and efforts are being made to establish the voracity of this but there is a picture of Chris Mann in the car at Silverstone complete with ‘pudding bowl’ helmet sometime in the 1960’s. More recent pictures include appearances at various events including Prescott and Goodwood and it was featured as the poster car for the 80th anniversary VSCC Loton Park Hillclimb in 2014. 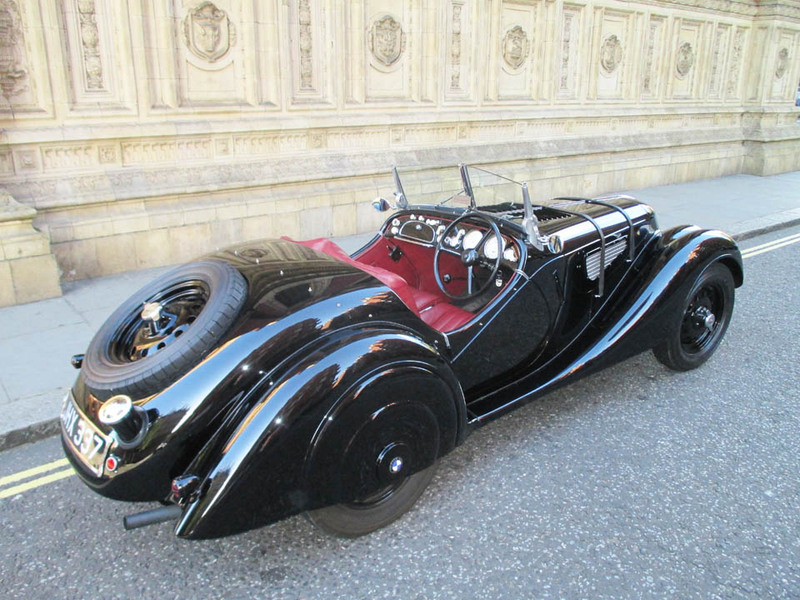 The current owner acquired the car sixteen years ago and used it on the road and in various events until he embarked on what was to become a complete and painstaking 4 year restoration. This work was carried out by some of the best names in the business and the results speak for themselves. In overall charge was Jonathan Wood, the paint and bodywork was entrusted to Steve Clark, electrics by Winston Teague and the hood was made by James E Pearce. 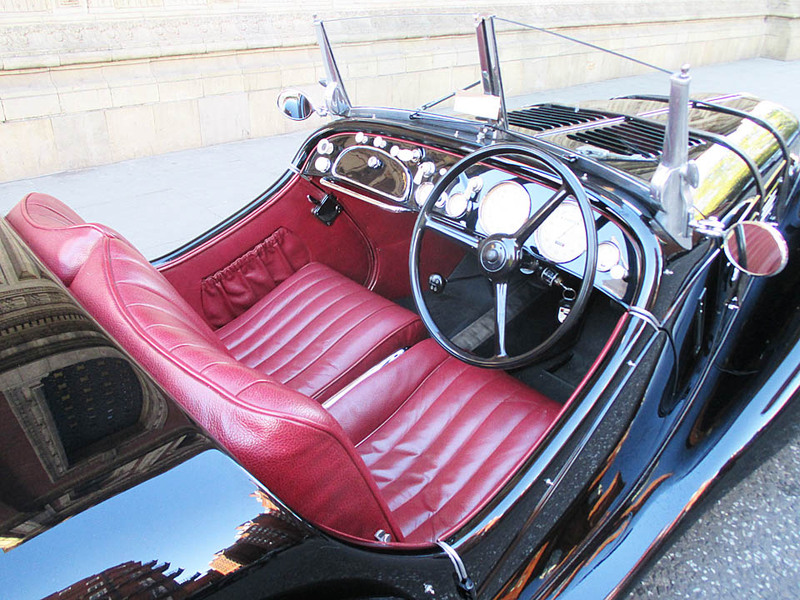 The car is offered in its original colour scheme of black with the correct heavy grade ‘pebbled’ finish leather. The current owner went to some lengths to acquire and re-install the cars original matching number engine during its rebuild and with extreme dedication re-worked and fitted an original Hurth gearbox. Out of sight but not to be ignored the car is also fitted with under-trays and an overdrive. The attention to detail is evident throughout the car and as you might expect it behaves impeccably on the road. This is the by far the nicest example to come to the market for a number of years and is a testimony to the extraordinarily high standard of work undertaken by all the specialists involved in the restoration.